Goldie joins Pete and is inducted into the Hall of Fame, plus Krankbrother talk Pete through their favourite UK clubs and George FitzGerald provides the After-Hours mix. 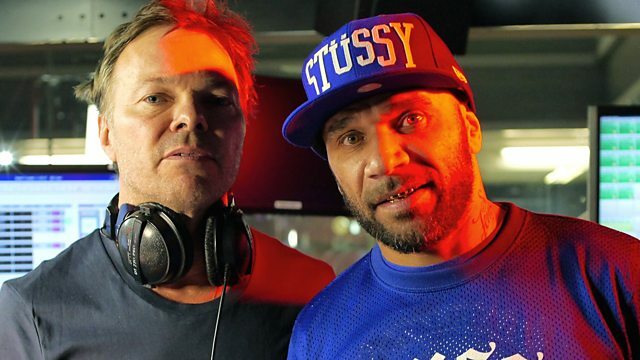 UK artist, DJ, producer and actor Goldie joins Pete live in the studio and is inducted into the Hall Of Fame; and party and DJ duo Krankbrother talk about their favourite club in the UK for #ClubScouts. There's also a very special phone interview with Deep Dish, the first since they reformed earlier this year! We run through the Essential Masters, this week they're forgotten gems from 2005, before rounding the show off with an After Hours mix courtesy of English DJ and producer George FitzGerald. Heroes (we could be) [feat. Tove Lo] - Single. We Are All We Need. LUXURIOUS SUMMER CRUISE - THE BEACH HOUSE PARTY.